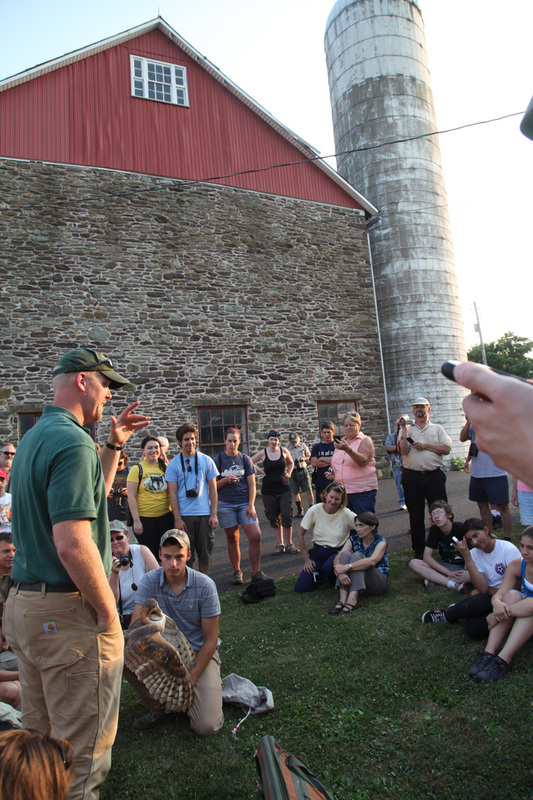 On Tuesday evening, the Pennsylvania Department of Conservation and Natural Resources (DCNR) and Pennsylvania Game Commission (PGC) held a public banding demonstration of nesting Barn Owls. 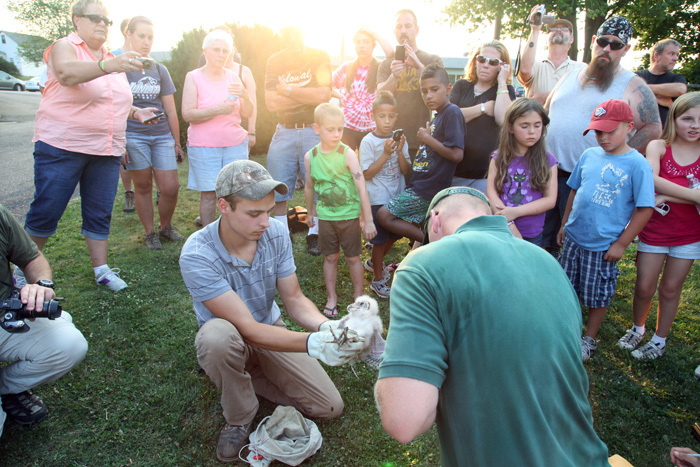 The program, coordinated by Jacobsburg State Park, was held at a private farm in Berks County where Barn Owls have reportedly nested for almost twenty years. 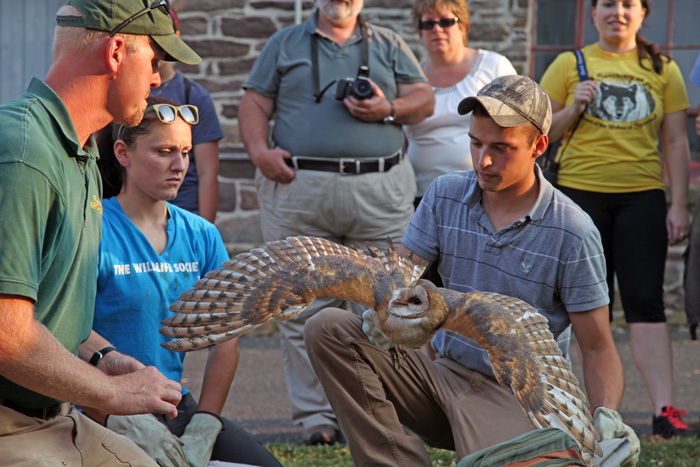 In an attempt to aid the owl population in the state of Pennsylvania, the DCNR is working with the PGC to help these owls as well as educate the public and learn more about the Barn Owl. 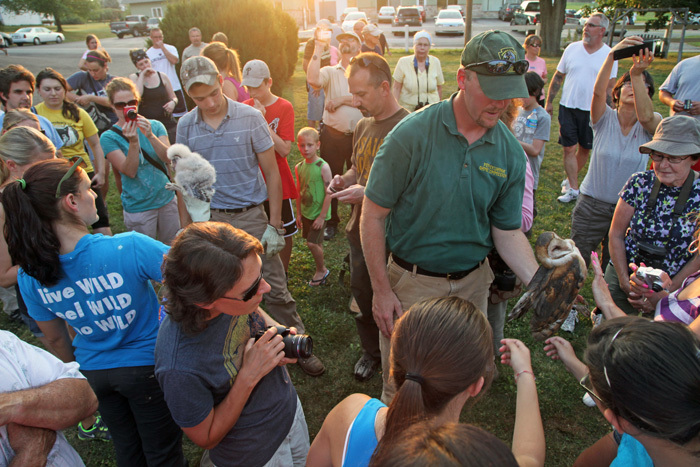 To accomplish this, these agencies have placed owl nestboxes in farms across the state. The farmers learn about appropriate management to accommodate this unique owl species. 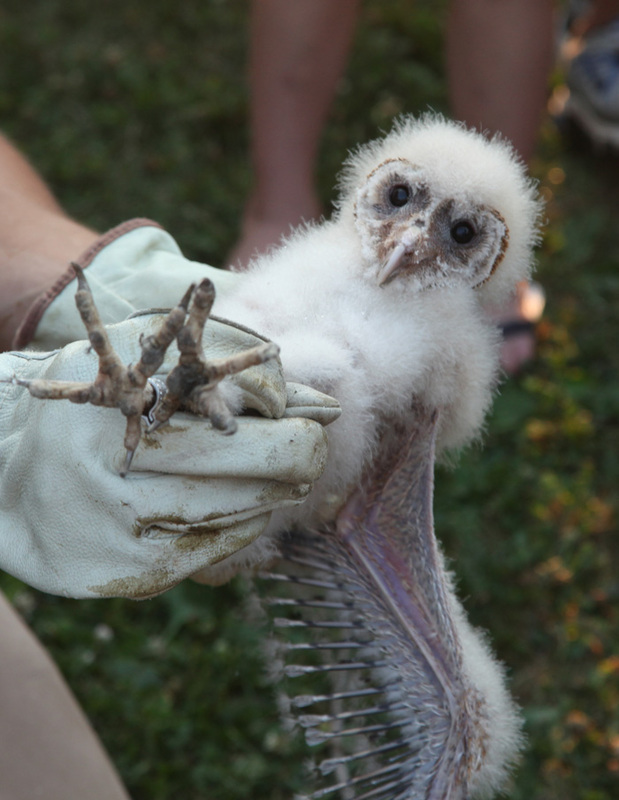 Once the owls are established at a site, the game commission bands the chicks and takes feather samples in order to learn more about the behavior and biology of this secretive species. If you are a frequent reader of this blog, you may recall that I was able to help band American Kestrels about a month ago. The kestrel is another declining grassland species that is being monitored and helped by the PGC and DCNR. Like the Barn Owls, kestrels cannot survive in an area with pavement, buildings, or corn. In fact, both species need similar open landscapes to hunt–the kestrel by day, the owl by night. 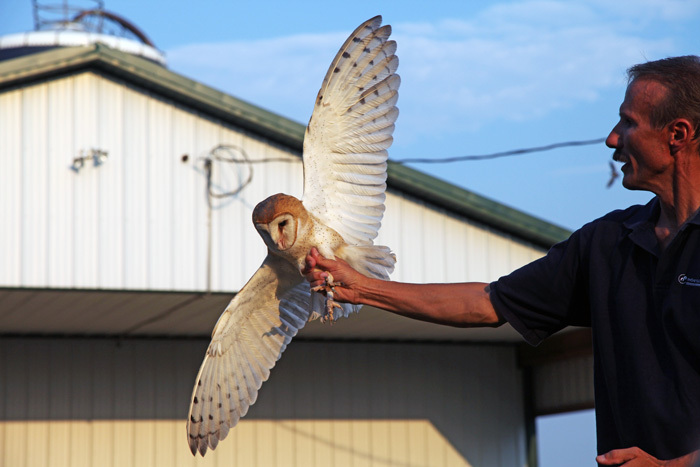 The event on Tuesday was intended to teach the public, both birders and non-birders, about Barn Owls. An impressive group showed up, all ready to learn and see the babies. 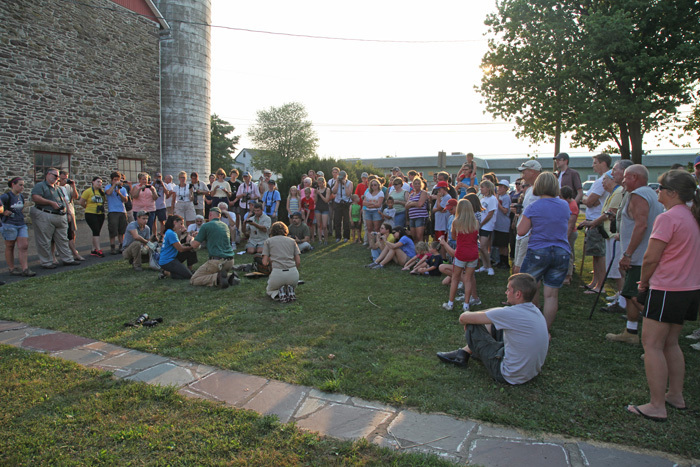 When the banders arrived, they climbed up the silo to get the young owls and bring them to the ground where they could be safely banded. 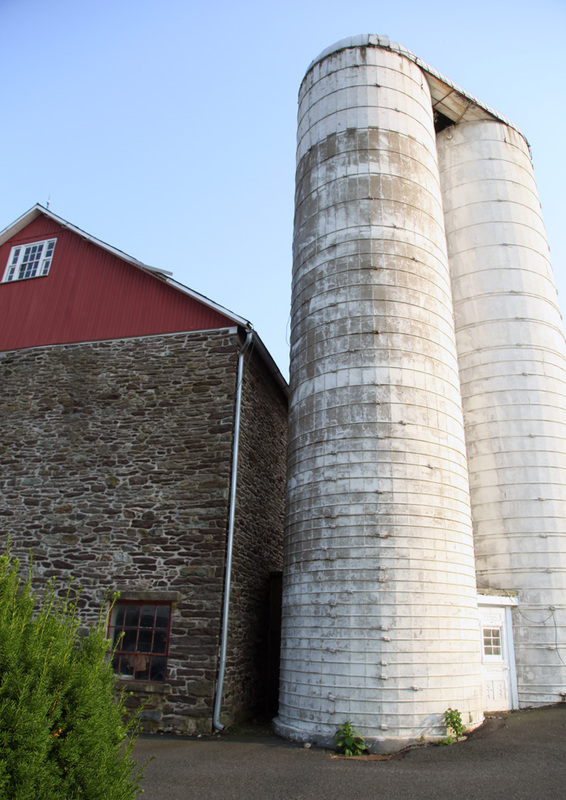 When the bander reached the top of the silo, a few of us saw the white flash of an owl flying across the hole at the top of the silo. As we waited patiently down below, we could hear the hissing and cries of the owls being placed into bags and carefully carried down. When the banders came out onto the lawn, everyone gathered around waiting too see the goofy-looking babies. However, what came out of the first bag was not expected. 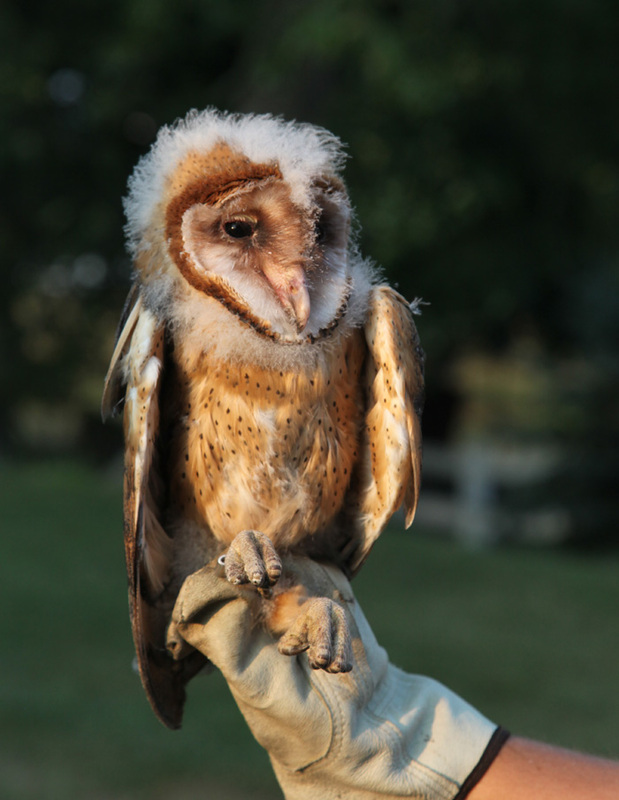 An adult male Barn Owl! The adults often fly out of the nesting structure while the banders take the young, but this time, the adults did not fly away, so they were captured for banding. Everyone in the crowd got amazing views of this beautiful bird while it was banded. The white and tawny colors and the tiny silvery speckles shining in the evening sunlight made the bird even more magical. Once the bird was banded, we were able to get very close views of the bird. What an amazingly beautiful creature. After everyone was able to get a close-up inspection of the male owl, he was placed back in his bag and we moved to the next bird. Again, when the bird was pulled out, we were surprised. This time, it was the adult female. Capturing one adult is rare enough, but being able to capture both adults birds is almost unheard of according to the game commission biologist. The larger female was equally as beautiful as her mate, but she was much less cooperative. She repeatedly tried to hit, scratch, and bite the bander. Because she was so stressed, she was placed back into the bag fairly quickly after the metal band was placed on her leg. 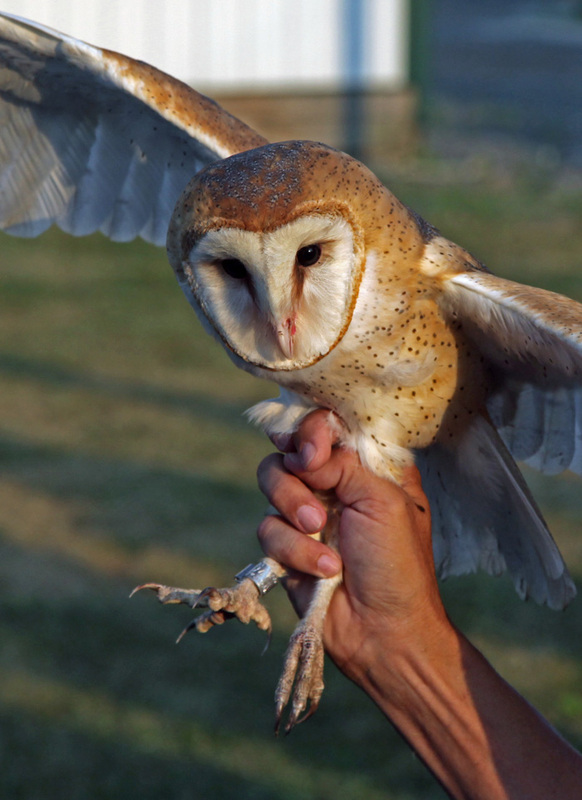 Can you see why Barn Owls are sometimes called “monkey-face owls”? After the parents were banded, it was time to band the youngsters. 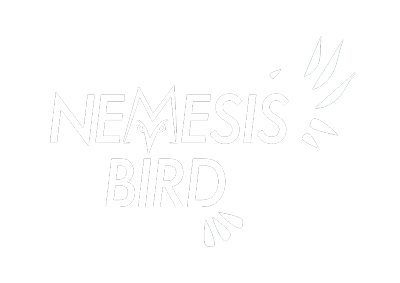 The first nestling was the oldest, with many of his feathers resembling those of the adults. However, he still had a significant amount of fluffy down on his head. Based on feather measurements, it was determined that this bird was about 48 days old. Compared to the adults, the youngster was very well behaved. It seemed rather content with sitting still, squinting at the people walking up to it. 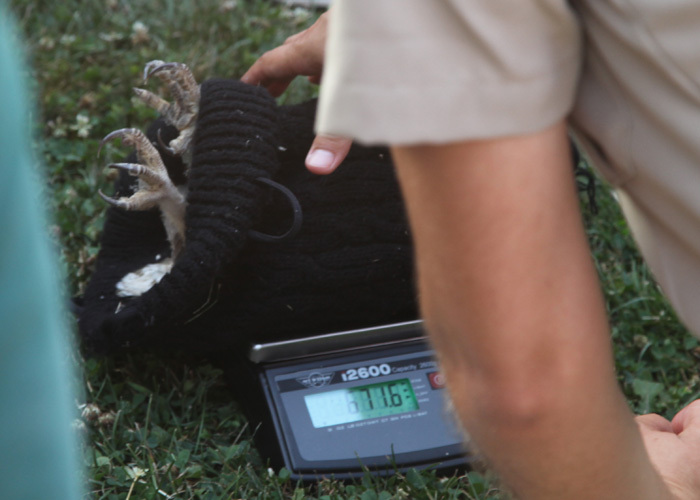 The baby bird was then placed in an old hat and weighed. 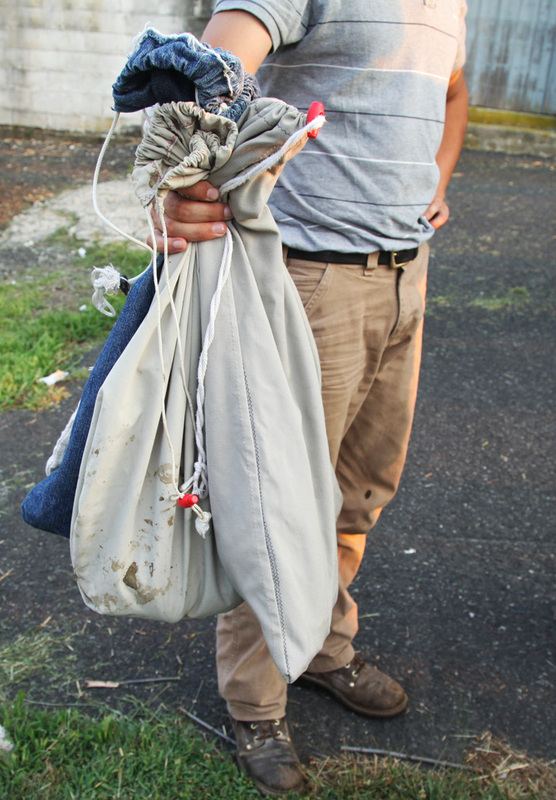 Then, a band was placed on the leg and the bird was put back in a bag to avoid any more stress. A total of three young birds were banded. Of these, the last was the youngest and had almost no adult-like feathers. The entire bird was covered in soft, white down. 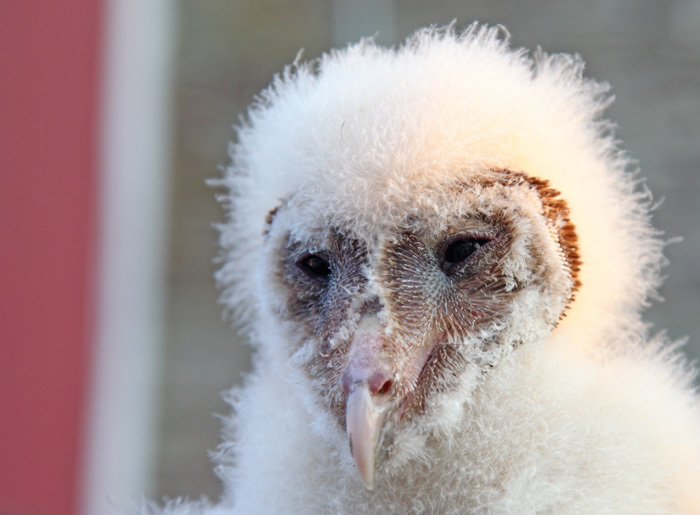 The feathers had also not grown in around the face, making this a very strange-looking baby bird! It was determined that this bird was about 30 days old. The kids in the group loved this baby. They said it looked “cute.” I don’t know about that… it’s a pretty ugly bird! 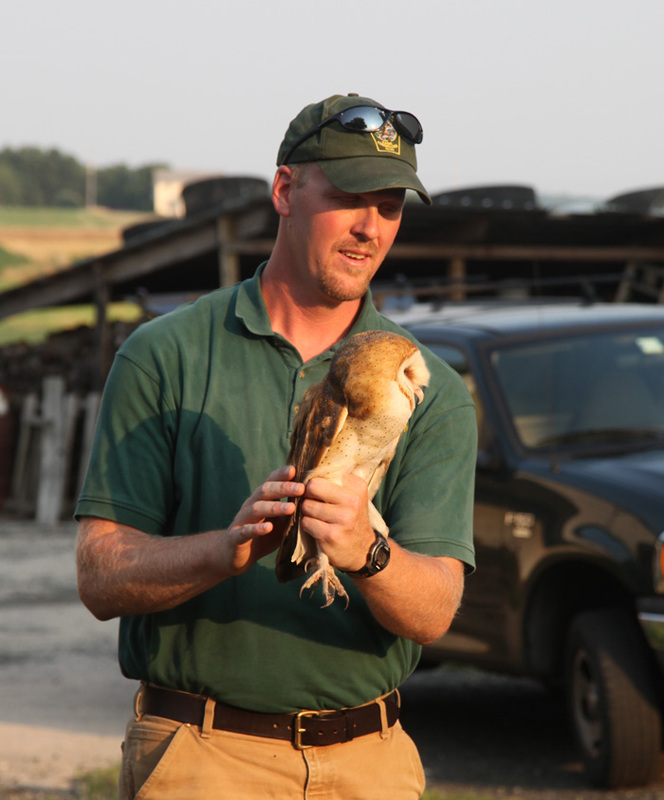 This project with Barn Owls is just one of the many conservation projects conducted by the Pennsylvania Game Commission and DCNR. If you live in the state, be sure to keep an eye out for events like this one. It is an awesome experience to be able observe these uncommon birds through banding. After you see first-hand how exquisitely beautiful these nighttime predators are, you will want to do everything you can to help them thrive.